Save to Google Drive Chrome Ext~Best Invention Since the Photocopy Machine!!! Can parents use without a gmail account? Or is this only within GAFE users? Hi Ryan ~It works best if the parent has a gmail account. 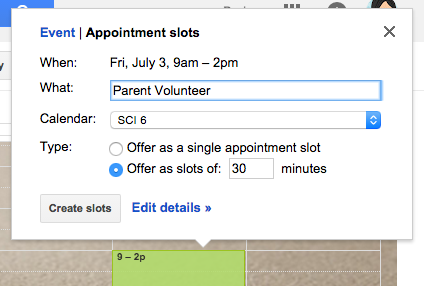 Yes you need a GAFE account to create appointment slots. 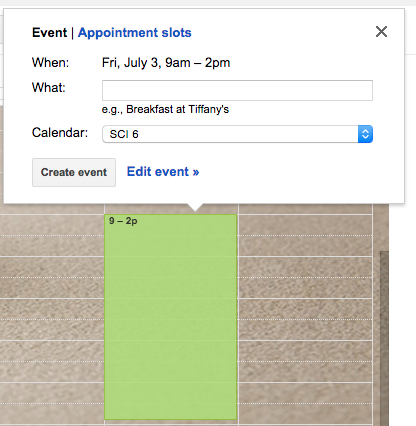 An everyday gmail account is all one needs to use a publicly shared appointment slot calendar.